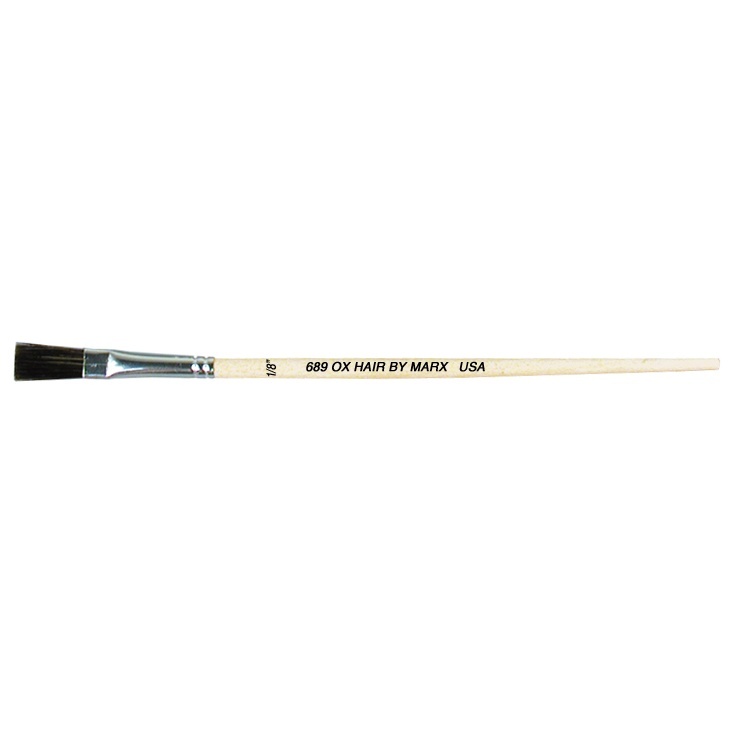 Long Ox Hair stroke brush is made to withstand harsh chemicals, including Toluene, without deterioration. Use in a variety of applications where flat, even application is needed. Ideal for applying conformal coatings. Unvarnished hardwood handle, so chemicals will not cause paint to peel or flake. All brushes in this subcategory are anti-static. 1/4" 5/8" 3/4" 1" 1-1/4"
5/8" 3/4" 7/8" 1" 1-3/8" 1-1/2"